In the vast majority of cases, your resume is the first thing that a potential employer sees of you. For this reason alone, it would be important that you stand out, but the resume does so much more than just create a first impression. It’s also a tool that hiring managers use to get an idea of who you are and what you’re capable of. They also use resumes to see whether or not you will be a good fit for the company, and decide whether or not they should interview you from there. The combination of all of these things puts a lot of importance in the resume, so mastering your resume is one of the biggest things you can do to jumpstart your career search. First, it’s important that you know right off the bat that creating a resume is not a one-time thing and you’re done. For each job that you apply to, you should have a customized resume. There may be only small differences from one to the other, but your resume is going to be far more effective if you craft it in terms of the specific job that you are going for. Even more so, different companies may be looking for different things out of the same position, so taking this into account is also a must. 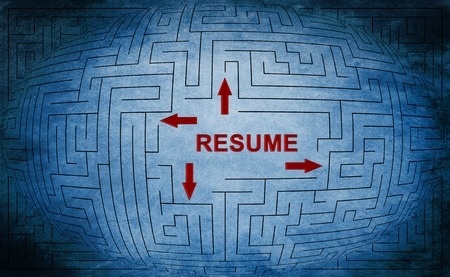 Your resume should be broken down into a few main parts. Your name and your contact information should appear on the top of the page, preferably in a larger font or a bold typeface so that it stands out. The next section should directly relate to the position that you are applying for. This will vary from person to person and from job to job. For example, if you are fresh out of college applying for a supervisory position at a bank, your education background should be here. This is going to weigh more heavily than almost anything else, especially because you do not have any formal work experience yet. If you’ve been working for 15 years, and you are switching jobs, your employment history is going to be more important than your education. This should be included first instead. After this, your supporting items should be mentioned. If you have part time experience in a field that doesn’t relate, this should be included here. Or, if you have a lot of work experience, your education background should also go here. The last section should be information on your achievements. If you have any professional certifications that didn’t fit with the other sections, include these. If you need to give portfolio examples, or other supporting information, this can go here, too. A lot of people wonder if they need flashy colors or pictures on their resume. The short answer is, no, you don’t need these things. Your resume should stand out because it shows that you’re the most qualified for the job. Yes, attention grabbing tactics might work once in a while, but the even better approach is to illustrate that you are the best person for the job because of what you’ve done, not because of the fact that your resume is in neon orange font. It is important that your resume be organized. All like information should be kept with like. For example, your education experience should be grouped in one category. 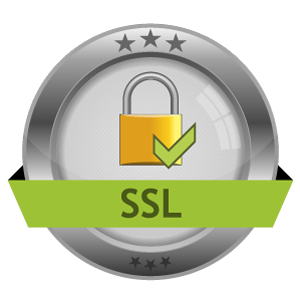 Your professional certifications should be kept together. Your employment history should be kept together. Keeping things chronological within each category is also important, with most recent things listed at the top of each category. The best resumes tell a story. Your story, in fact. When done right, and when you are applying for the right job, the most natural progression of that story should include the job that you are applying for as the logical conclusion to the story that you are trying to tell. In theory, it is very easy to explain, but in reality, it’s a bit more difficult. This is why we recommend that you constantly be reworking your resume for a new job. The standard resume will not work quite as well as a resume that is tailor made to tell the story that gets you the job you are applying for. It’s a subtle difference, but it’s one that drastically increases your chances of getting hired. In the past, a lot of employers preferred that your resume was printed on a heavy cardstock paper, but now that most resumes are received electronically, this isn’t really important anymore. Still, having your resume printed on paper for when you go to your interview is vital. Some employers will ask that you have a paper copy, others will not. Either way, you should bring it, just in case. It helps to associate your background with you as a person, and this can go a long way toward securing you the job. The resume doesn’t need to be limited to just one page, but your writing on it should be concise and kept to the point.